Thanks to The Hollywood Reporter, we now have a sneak peek at Ron Moore’s cameo in this week’s episode of Outlander. Ron appears alongside Diana Gabaldon in episode four, entitled “The Gathering,” for a brief moment, so be sure to keep your eyes peeled this Saturday to catch him in action. 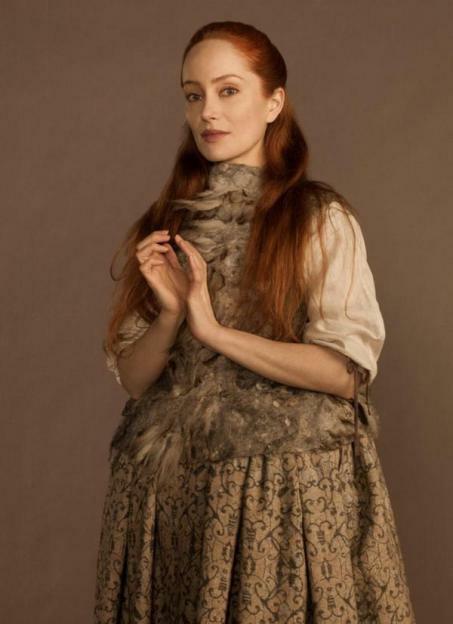 Costume designer (and Ron Moore’s better half) Terry Dresbach has updated her blog to include an inside look at Geillis’ so-called ‘monkey jacket,’ which was worn by Lotte Verbeek on episode three of Outlander. Terry has some great behind-the-scenes wardrobe info on her blog, so make sure you check out all of the wonderful pieces on her site!